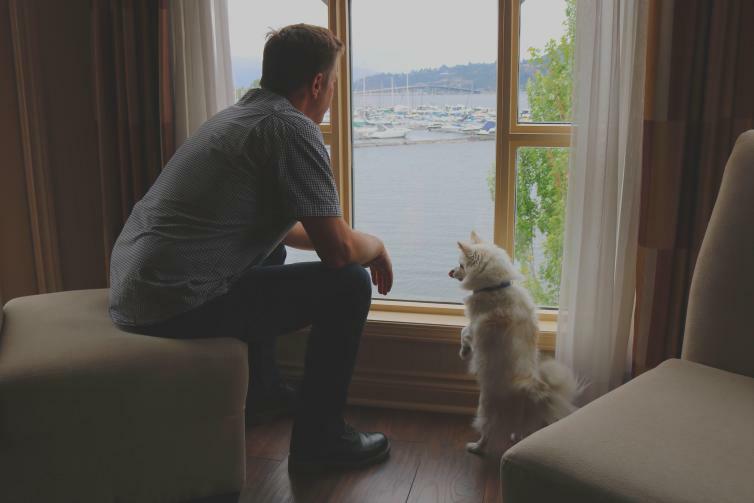 The Delta Hotels by Marriott Grand Okanagan Resort is a luxurious lakefront option for you and your furry family member. 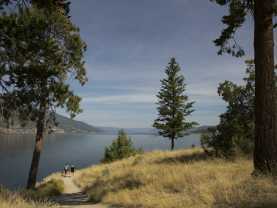 The hotel is adjacent to the Downtown Kelowna boardwalk and many of the rooms have spectacular views. 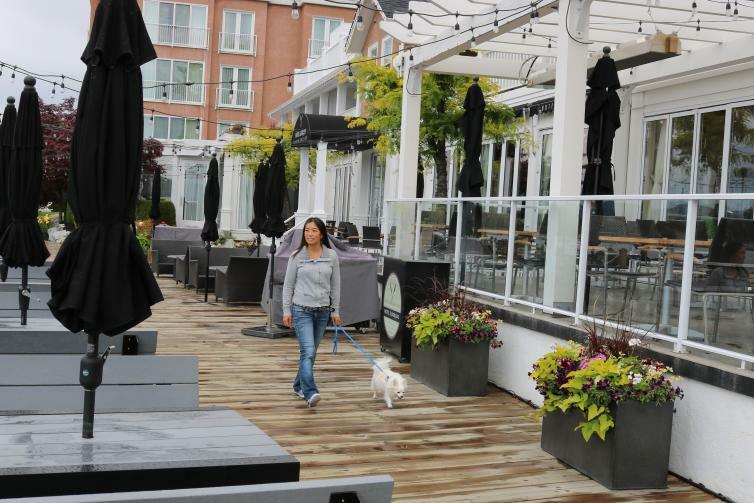 Human perks include an on-site spa where you can get pampered and a scenic waterfront restaurant where you can experience locally crafted menu items. 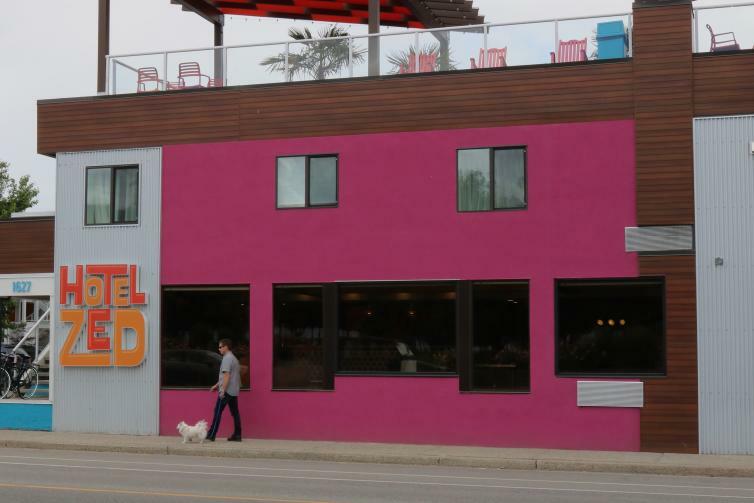 Located right downtown, Hotel Zed has designated pet-friendly rooms. Known for its colourful decor, this hotel prides itself for being fun and pretentious - they even have a ping-pong lounge! 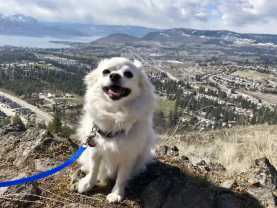 The rooms are located right across the street from City Park, a perfect place to take your dog for an on-leash walk near the waters of Okanagan Lake. 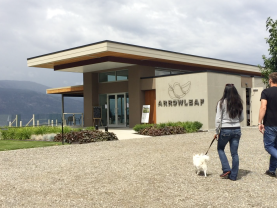 Situated on the shores of Okanagan Lake, this hotel is full of charm and character. 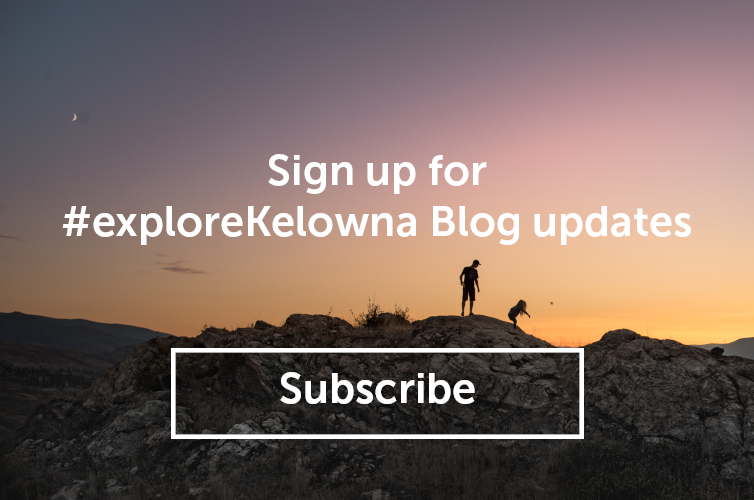 Originally built in 1926, guests will enjoy the lake views from one of Kelowna’s most popular neighbourhoods, the Mission. A walking distance to many shops and boutiques, this hotel is also close to many bars and restaurants. 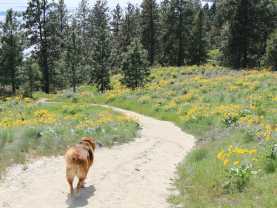 There is also the nearby Mission Creek trail, a perfect place to enjoy take in some fresh air with your dog. 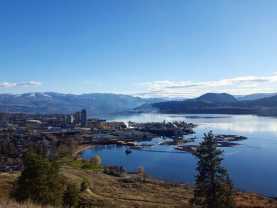 If you’re looking for a location that is central to almost everything in Kelowna, the Coast Capri Hotel is ideal. Their pet fee is very reasonable and you can bring up to two pets for only $20 per night. Just two blocks away is Ace of Hearts Dog Grooming where your four-legged friend can enjoy a calm and comfortable grooming session and a bath. 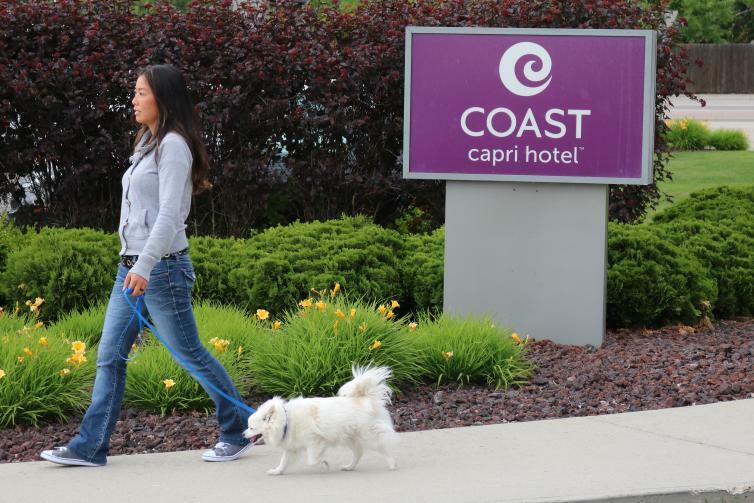 Don’t worry, if you’re in the market for being spoiled as well, the Coast Capri is home to Beyond Rapture, a mind and body care day spa. 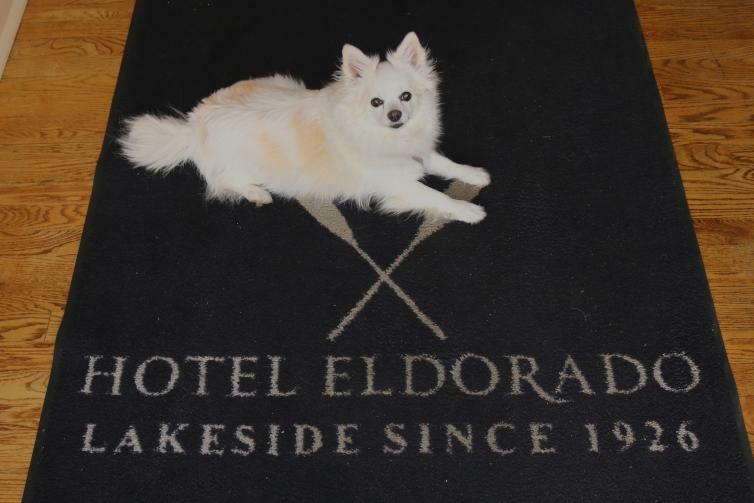 Looking for a resort that welcomes you and your dog? 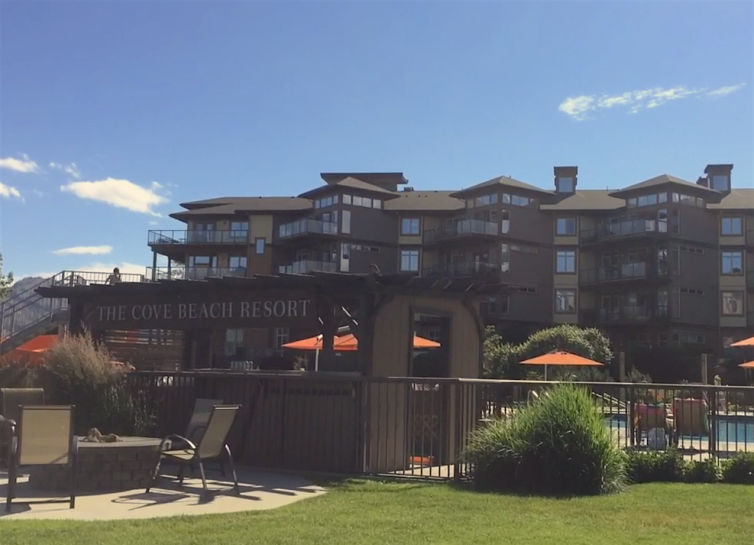 The Cove in West Kelowna offers luxury all-suite accommodations with a private beach and two outdoor pools. Also on site is a putting green as well as a marina if you’re looking to rent a paddle board or if you want to try motorized water sports. 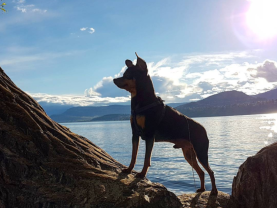 Fido who love to swim will also love The Cove because it is only about a 15-minute lakeside stroll away from the Gellatly Dog Beach, one of West Kelowna’s off-leash dog parks.